Canning Circus stands on what was a long-derelict site, adjacent to a Grade II-listed building, in an area that cried out for regeneration. 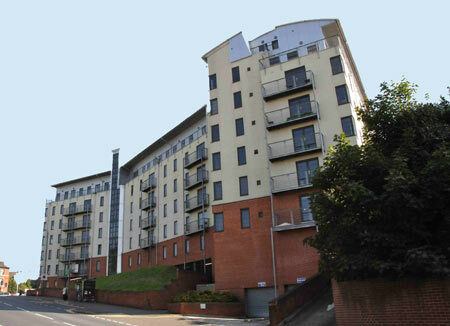 The brief called for a range of apartments and parking facilities. Construction was to take 15 months and cost £5.5m. Two key elements defined our response: we worked with the client, Lace Market Properties, to maximise the use of space and demonstrated how a forward-thinking approach to architecture would differentiate the development from others in a highly competitive market. Several nearby Grade II-listed properties, including Altons Cigar Factory, demanded sensitivity and we were mindful of the long-term regeneration interests of the area. The scheme combines both compact and large apartments. In every apartment, unusual interior features – curving walls, mezzanine levels and balconies – result in valuable, desirable and comfortable living spaces. The exterior has simple, clean detailing and a deliberately limited palette of materials. It wraps around to create an enclosed communal courtyard and has a discreet underground car park. The apartments were a profitable success in a saturated market, and Canning Circus has attracted a new community to a once undesirable area. 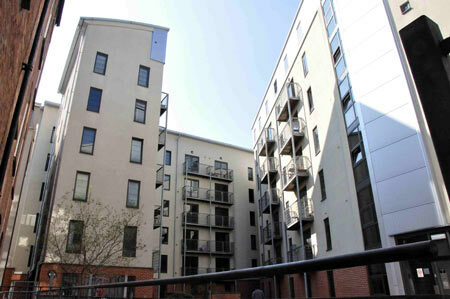 In projects such as this, Boden Associates plays a significant role in the regeneration process.